Daylight is embarking on a new way to partner with us. We are inviting you to sponsor a specific classroom through monthly giving. A gift of $30 a month will cover the costs of a student’s classroom experience and education. This is a great opportunity for you, your family, and community to connect with young people in Kenya! When giving monthly, you’ll be partnered with a specific class of your choice (grade 4, 5, 6, or 7) and stick with them until they graduate 8th grade. Along with your financial gift, you are invited to write letters to the class. In return, you’ll receive updates and letters from students three times a year. Receive Letters from students like Cynthia. Cynthia is in 7th grade at Daylight and when she grows up she wants to be a surgeon and work with mothers giving birth. Cynthia loves making art and playing soccer at Daylight. For most of Cynthia’s childhood, she didn’t attend school because her grandmother, who has raised her, couldn’t afford school fees. Daylight offers free tuition to students in need, so Cynthia was able to come to Daylight in 6th grade! She began her classes unable to read and write, but she was determined to work hard to catch up. Her teacher and classmates encouraged her and studied with her after school. When she began 7th grade, she was able to read and write. She is on her way to becoming a surgeon! Cynthia is able to attend Daylight tuition-free because of an incredible community of donors who have supported Daylight these ten years. And we know we can continue to sustain Cynthia’s education because of those who have taken the step to become monthly donors. 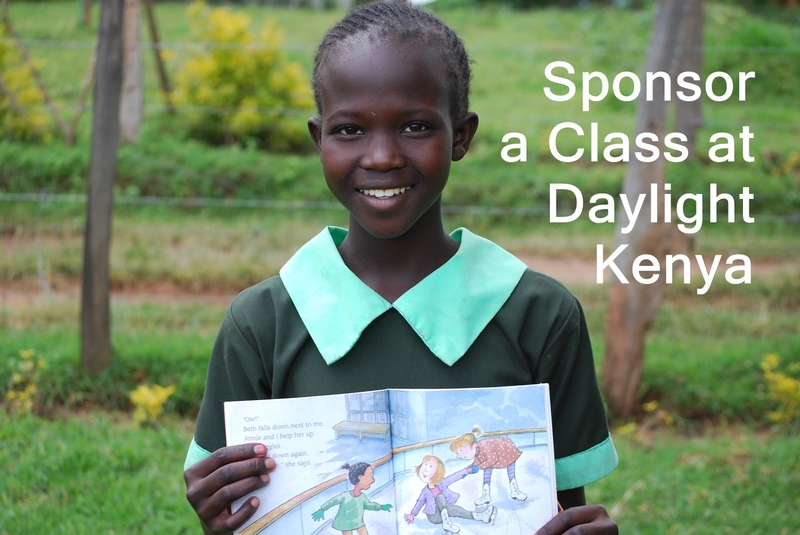 Will you support a classroom with at least $30/month to support the excellent education and loving atmosphere Daylight offers? Please fill out the below sponsorship form or email info@daylightcenter.org for more information. 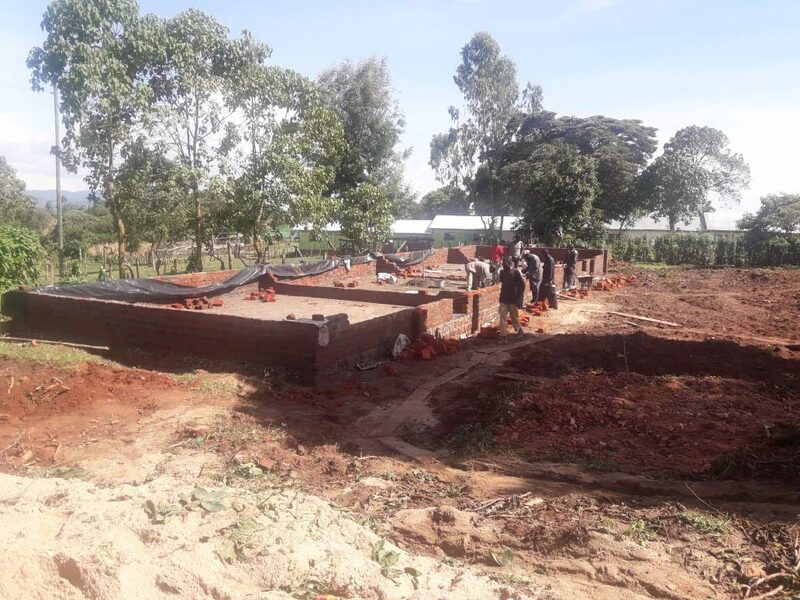 New Preschool Classrooms Under Construction! 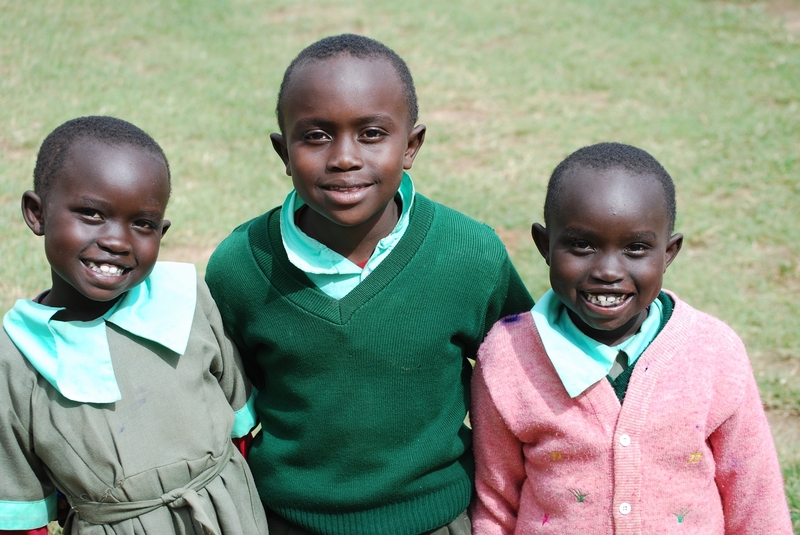 Elijah and his twin sisters, Clare and Clara, walk 4 km (2.5 miles) to Daylight school each day. Elijah is in 3rd grade, and he loves to study leadership. “I like learning about the presidents of Kenya. I like President Kenyatta the best, because he was a good leader.” We think Elijah is a pretty good leader, too. 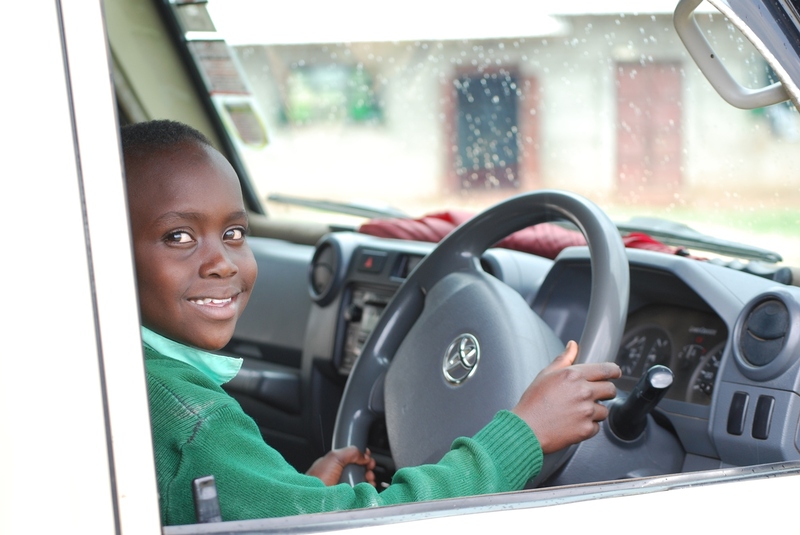 Eljiah is excited about learning to speak Kiswahili and learning to drive so he can drive his sisters to class. 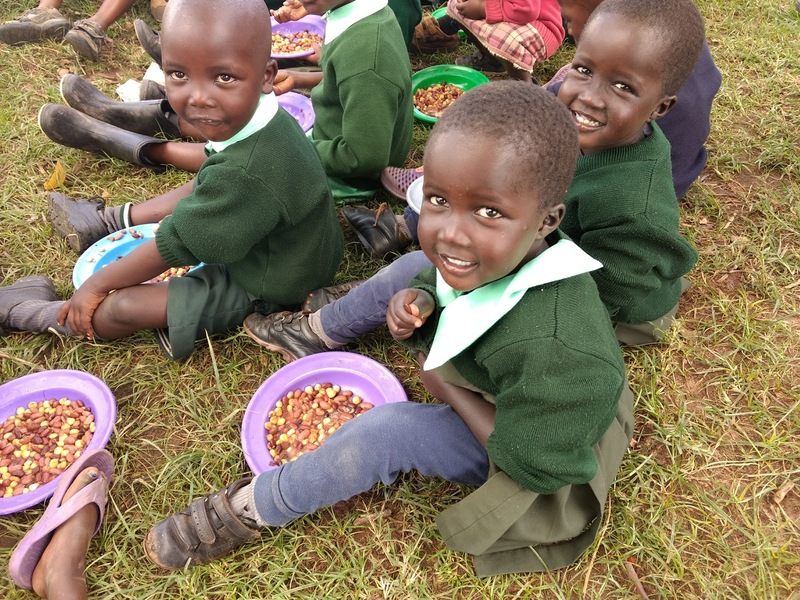 Clare and Clara are in Preschool and they love love eating lunch in the playground. 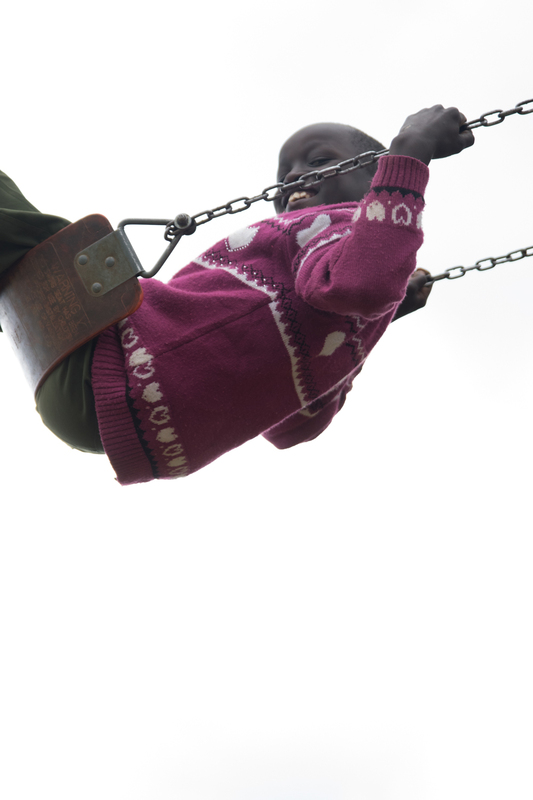 And swinging on the swing set with their friends during recess. Their father drives a tractor and their mother is a teacher. Their family contributes what they can afford to their children’s education. But school is expensive in Kenya and, with an eldest daughter in high school, their family needed help paying their school fees. So Daylight was able to provide scholarships! They are all excited for the new preschool classroom, which is under construction. We have over 40 preschool students, and we are excited for them to have a great new classroom to learn and grow in. The builders are working with funding from Autumn Ridge Church in Rochester, MN, to build three new preschool classrooms. 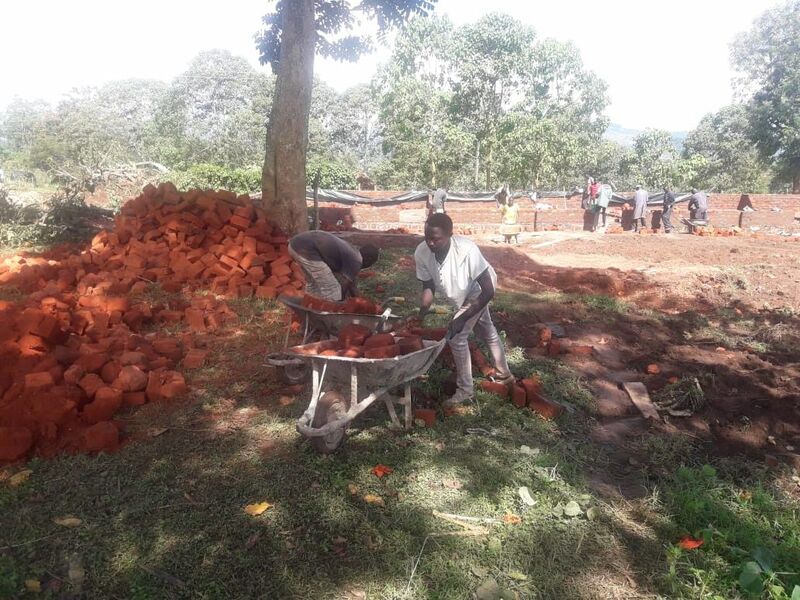 The bricks are hand-fired locally and the community donates many materials and volunteers to help in the brickmaking! We are so grateful for Elijah, Clare, and Clara, and all the preschool students who are learning about leadership at Daylight! And they are grateful for your contributions and support, which make their education possible!